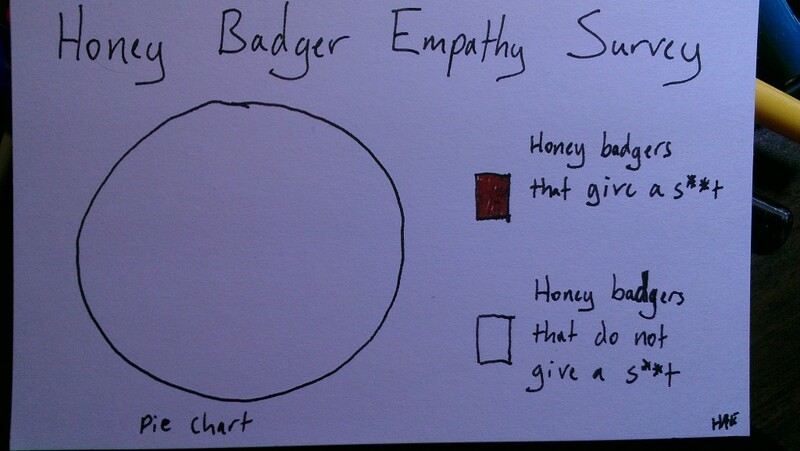 Survey conducted using Standard Empathy Instrument (Quantitative) version 2.5, n = 577. In light of the perhaps-surprising results of the initial survey, we attempted to repeat the survey to investigate whether the initial results were anomalous. Regrettably, nearly all the honey badgers had engaged themselves in other activities (seeking honey and larvae, hunting and eating cobras, digging, running backwards in slow motion, etc.) and were unavailable for questioning. The second survey (n = 12) confirmed the initial results, although several study participants showed worrisome flat affect possibly due to snake venom exposure.